The Busiest Man In Show Business is Back and Working Harder Than Ever! NEW YORK - Jan. 25, 2019 - PRLog -- He's working at a pace that would tire some of the hardest working entertainers in show business is what Rey T is doing as he prepares to drop another Three (3) song project entitled "Don't Stop Get It Get It", that's what this hard working entertainer is doing. 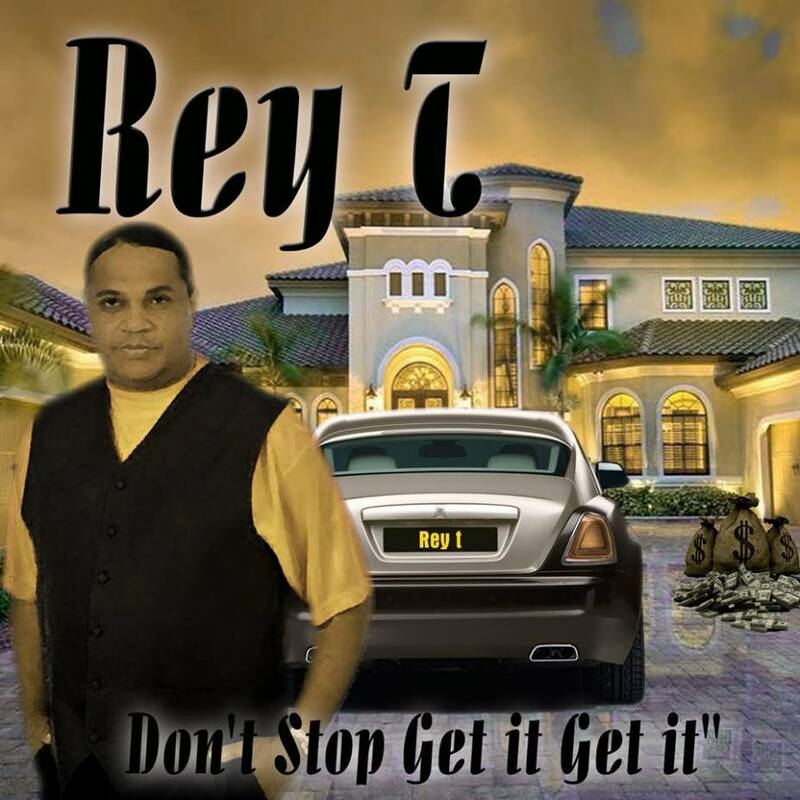 Rey T along with his label and distributor MRE Entertainment/InGrooves has set the date of January 25, 2019 for the new release of this dynamic track, letting you know that "Never let no one say what you can't do, Cause what you do is truly up to you" now if you want to hear the rest of it download or stream this hard hitting dance track from a truly gifted entertainer, Songwriter, Producer. Rey T seems to be set on dropping projects every three to four months whether it's a solo project or working with Grammy Nominated Artist "Special Request Ft Rey T for which he doubles a lead man. This artist is either touring or working on new projects be it for himself or other stable mates such as "Xymphoni, The Caravan Of All Stars' Ronnie Stewart, G. Hunter or Hunter, there is always something boiling in the lab! When asked why the move to Las Vegas, Rey T replied, "We've got to be where the action is, Las Vegas is one of the entertainment capitals of the world and there's no place that I'd rather be." Music is the driving force in Rey T's life and he has a no holds barred attitude about what he writes and producer be it R&B, Blues Country, Dance or Hip hop, he's going to bring you what he hears playing in his head, giving you simply the best he has to offer! Follow this entertainer at http://www.Rey-T.com or http://www.specialrequest.co or simply give them a call 707-646-1645 to learn more about Rey T or to bring him to a city near you!!!!!!!!!!!!! !